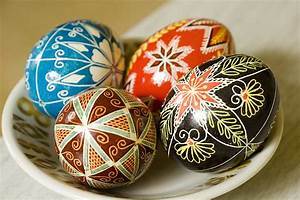 Pysanky Workshops – April 10 at 2:00 and April 11 at 5:30 for adults and older children. Pysanky is the Ukrainian egg decoration using beeswax and dye, passed down generation to generation. It was believed that Evil, in the form of a monster, roams the Earth; but each pysanka created strengthens the chains which hold Evil at bay. Everyone has a story to tell and writing about it is a good way to preserve it for future generations. Collect free garden seeds from our 2018 collection for your Spring planting. Book donations are still being accepted and may be dropped off at the library during open hours on Tuesday/Thursday 2 – 7, Wednesday 10-4, or Saturday 9 – 1. Please, no magazines, encyclopedias, or textbooks. If you would like assistance getting your donations to the library or have questions about the sale, contact curiousbooks@verizon.net or leave a message at the library 413-477-6704. Come to one or both… some valentines take longer to make or you might have multiple recipients! All ages are welcome. Materials provided, but bring tiny ornaments and memorabilia to personalize and enhance your Esther Howland-like creations. Tour Alaska with Peter Schmid as he shares pictures and stories of his recent trip to Alaska. If you cannot make the trip to our 49th state, then come hear of Peter’s excellent adventure! Francis Martin, Heritage Orchardist at the Emily Dickinson Orchard in Amherst brought samples of actual Heritage varieties of apples, spoke of the history of apples in the World and in the U.S., told stories of current management of the Emily Dickinson Orchard at the Dickinson Museum in Amherst and of bringing back to production two orchards. Paige Memorial Library hosted a summer reading program for adults as well as children this year with the added incentive of winning a prize! Then we had a party! We had ice cream sundaes! Thank you, so much, Eagle Hill School! We had Bowling, drawing and coloring, horseshoes and rings, frisbee through a hoop, basketball, free books, prizes and DRUMMING with Tim Kane. Rock and Roll Science with Brianna! 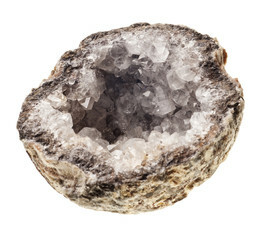 Crack open a rock and look at minerals under our new microscope. Sing and shake and sway to music by Heidi. … a rocking good time! Rock a fine souvenir in your cool library using paint pens and your imagination! Missing Meet the Author Tim Parker of Ware at the Paige Memorial Library, 87 Petersham Road, Hardwick, on Tuesday, May 22 at 6 PM and learn how this chemical engineer who grew up on a poultry farm in North Brookfield worked at all levels of the aerospace industry on the space suits, high performance plastics, rocket seals and gaskets,; and came to be a writer of mystery, and romance after a life changing accident. Parker will discuss his books MISSING IN SWITZERLAND and WISPA, the connection to the Quabbin, and his upcoming books including his aerospace memoir that will include material on Apollo 11 and coincide with next year’s 50th anniversary of the first moon landing. Call 413-477-6704, email director.paigelibrary@gmail.com, or stop by to register or for more information. Everyone wants a Fairy House! Come learn from some very knowledgeable 4-H guides how to build one for your home. You must register at the library, call 477-6704, or email director.paigelibrary@gmail.com, AND… you must bring supplies such as a base of wood or stone, and dry natural materials. Bring anything else you would like to have in your Fairy Land Scene, such as fabric flowers, tiny figures, and embellishments. If you have wood glue and glue gun, bring those, but we will supply what we can. Aren’t these the prettiest pine cones? 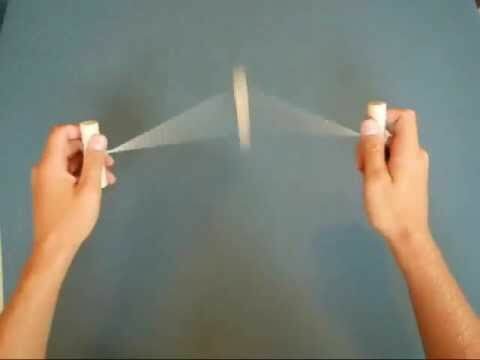 Come learn how to make them! Set in colonial Massachusetts, The Devil’s Elbow follows Jack Parker from his orphan childhood days as an apprentice to a greedy and brutal Boston merchant to the isolated pioneer settlement of Brookfield, where he ends up in the fight of his life to protect the people and things he loves. The book is set against the background of King Philip’s War, the single greatest catastrophe to occur in seventeenth-century Puritan New England. The second book in the Brookfield saga, The Long Journey Home continues the story of Jack and Becky Parker as they strive to make a life for themselves on the frontier in early colonial Massachusetts. During a violent and turbulent era, they endure every hardship to see their family grow and prosper … and survive. In their unstoppable love, they will sacrifice everything to be together. A freelance writer and editor, newspaper columnist, writing coach, workshop teacher, and amateur colonial historian, Ed Londergan has always been fascinated by American history. He began researching the battles of King Philips’s War and was amazed by what he found. He decided to bring history back to life through the eyes of Jack Parker, a young orphaned boy from Ipswich, and his passage into adulthood during a very dangerous and frightening time. The result was The Devil’s Elbow, which won an honorable mention in the juvenile fiction category at the 2013 New England Book Festival. Londergan’s newest book, The Long Journey Home, also a New England Book Festival award-winner, continues the story with Jack Parker’s capture and escape and his brutal trek home through the winter wilderness to the wife and son he loves beyond measure, so together, they can find the one place that is truly home. The third and final book in the series, The Farmhouse, is expected to be published early 2018. Professional and Certified Drummer Tim Kane takes small and large audiences on a journey into the rich American history of drums as well as their immigrant and primal roots abroad. Participants don’t need any drumming experience, and parents are openly encouraged to be with their children and play along with them. Drumming is one of the best therapeutic, cardiovascular and fun exercises out there. Kane uses live drum demonstrations and performance mixed in with his narrative to convey the true art of drumming in a thorough and fun historical account. 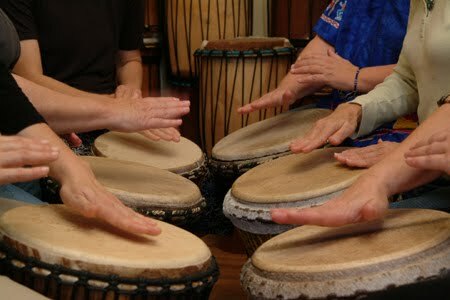 Each participant creates collaborative rhythmic jams after learning the basics. The magic is found in the group building upon its own creations and playing along to music from New Orleans jazz, Amazon, Native American Territories, and South America rain forests. Tim Kane has been teaching music and playing drums and percussion for over 30 years and lives locally in Brookfield, MA. Come beat your own drum!! If you enjoy a good mystery book series, you’ve come to the right place! Tracey Ryan grew up in Hardwick reading mysteries (from the Paige Memorial Library????). She has written her first of the murder mystery novels in the series, “Wicked Game of the Hunter”, and is working on the follow-up. Come by to create a toy. Yes, we are making a toy with things you find around the house!! Abandoned by his unwed mother during World War II, Donald Vitkus becomes a ward of the Commonwealth of Mass­achusetts. He is 27 days old. Six years later as “Patient #3394,” he is committed to Belchertown State School, where he is labeled a “moron” with an I.Q. of 41. Like hundreds of other institutions across the country, Belchertown is a de-humanizing environment of barred windows, locked doors, and brutal regimentation. A patient from 1949 to 1960, Donald says, “I never want us to return to those days.” It is Donald’s triumph that he was able to survive Belchertown. When he is able, he accompanies the author to book signings. “You’ll Like It Here is packed with gritty, realistic detail, some of it darkly hilarious. Belchertown State School is the evil institution incarnate, itself a character, a brooding presence over the whole story. Have you spent your life feeling everyone’s emotions? Have you been bombarded with every thought, every feeling from those around you and from the world itself? Are you ready to scream? You are not crazy; you are an empath. This interactive workshop will help you understand what it means to be an empath, why you feel what you feel, and how to share the wonderful opportunities the gift of empathy offers you to heal yourself, those around you, and the world. You will learn to discern the truth when people’s words do not match their emotions, to use fearlessness to protect yourself, and to tap into the vibrational energy of love. You will also learn how energy works and how it can be used for healing, accessing the past, present, and future, manifesting responsibly, and much more. If you suspect you are an empath or know someone who may be struggling with that gift, this workshop is definitely for you. Books will be available for sale. Ghosts, witches, antique houses that hold dark secrets – all are grist for the mill when writing New England Gothic literature. In the tradition of H.P. Lovecraft, Shirley Jackson and Stephen King, writers of New England Gothic fiction explore the realm of the supernatural in our own back yard. Join author Chrysler Szarlan in a discussion of this interesting genre at the Paige Memorial Library . Chrysler Szarlan has jogged racehorses, performed as a magician’s assistant, and worked as an attorney with the Connecticut Legal Rights Project. Her debut novel, The Hawley Book of the Dead, was named an NPR Best Book of 2014. Her essays have appeared in The Huffington Post and London’s Sunday Telegraph. She lives in western June (Ware) Massachusetts with her family, where she is working on a new novel set in a haunted library. Our display was to bring attention to Judith Black’s portrayal of Lucy Stone Sunday, April 23, 2 PM at the Town House on the Hardwick Common. The region’s rich baseball history going back to pre-Civil War times, presenting teams and personalities that have been part of Ware’s baseball scene over the past 150 years. Into the narrative Katz weaves explanations of particular features of the game and their histories—such as the invention of the curveball, the birth of professional baseball, and the development of baseball’s farm system—as well as colorful anecdotes from the players’ careers. The story of Quaboag sachem Hendrick Kequoaquau and his request for a settlement with the M assachusetts Bay government for lands he claimed were taken from him without payment of the “native right”. The third and last claim was restricted only to land known as Hardwick. Mr. Don Duffy, teacher and author, spoke of the Lamb and Company’s attempt after King Philip’s War to secure an Indian deed for land they called Wombemesiscook. After years of inaction, a newly reconstituted Lamb and Company bumbled their way in pursuing settlement of the land in the deed which eventually resulted in the settlement of Palmer, eastern Ware, West Warren , and Hardwick. Mr. Duffy continues to study and is now concentrating on the location of the Bay Path over Bald Peak in Monson and the connection to the main route from Pocumtuck (Deerfield ) through the Quabbin to Wickabaog and the Quaboags. Jackie Easter was joined by Sophie (all decked out in her Easter finery) and Steve, Sophie’s companion and faithful human. Sophie came to show us her incredibly good manners and to inspire the good folks who have animals and want to learn from Jackie Easter how to create a relationship which benefits both human and pet. Easter eggs were decorated and hunted at the Paige! It was a great time for kids and their adults.